Raising a child with severe cerebral palsy is no easy task for a parent. Jacque spent eight weeks in the neonatal intensive care unit (ICU) as a new born baby. After he was released from hospital, his mother struggled to find a voluntary carer and a facility that would help care for her special needs child. Later, with the help of Iris House Children’s Hospice, she was able to care for her son until she lost him to a viral and bacterial infection. Iris House Children’s Hospice provides access to free community-based care, as well as hospice based end of life care, for special needs children with life threatening illness and life-limiting conditions. Sue van der Linde, founder of Iris House Children’s Hospice, had very little support and only two volunteers when she established the organisation. Today, they’ve not only grown their volunteer base, but also manage to support up to 170 families in the Western Cape. Sue spent 8 years in the United Kingdom where she worked for Julia’s House as a carer. Realising that there was a great need for special needs care services, she established Iris House Children’s Hospice in 2011. As the word spread, they grew rapidly and now work in the northern suburbs of Cape Town, Saldanha Bay, Diazville, Crossroads, Langa and Gugulethu. They continue to grow weekly as new referrals come in. 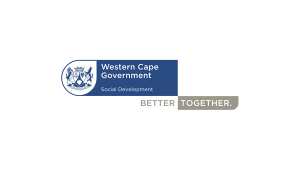 The hospice is part of Premier Helen Zille’s pilot project in Mfuleni and Vredenburg and were approached to care for special needs children and families in Khayelitsha. Debra and her team share the children’s joy at each milestone achieved, “no matter how small”. “This is very grounding, as we are reminded to be grateful of things people very often take for granted,” she said. They’ve gone beyond the call of duty and regularly donate non-perishable foods, toys, diapers and clothes to families. Since they’ve had their new premises, they’ve provided day care three times a week, for a maximum of six children per day. Family members are also supported through various counselling services. While their services are free, they rely on your help and support. sharing your PicknPay Smart Shopper account points. They have a need for carers and have their own in-house training programme, which focuses on specific care for special needs. All carers are trained to Level 1 First Aid.